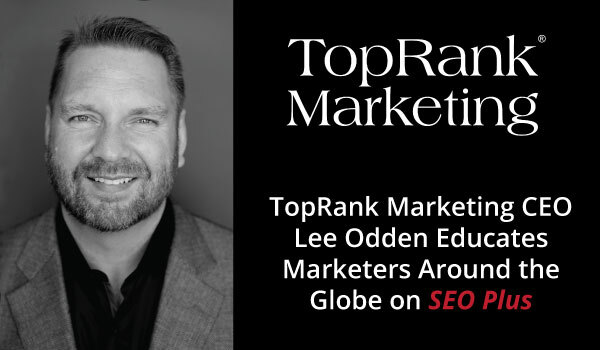 TopRank Marketing CEO Lee Odden is kicking off 2016 with a whirlwind education tour across the globe. His first two events will take place in Amsterdam and Arizona and will inform marketers on the benefits of taking a SEO plus approach to digital marketing. SEO Plus is a holistic approach to search engine optimization. This methodology considers the role of search as an integrated part of all the other digital marketing tactics required to help brands become the best answer for what their customers are looking for. SEO is no longer a standalone tactic that can be deployed without integrating with other essential digital marketing tactics. In his presentations, Lee will explore how SEO fits into the digital marketing mix and then SEO best practices specifically for content marketers. Below is a preview of what attendees will learn at each of these events. Unable to Attend Either of These Events? For more information, check out our blog category on SEO, or contact us for a free consultation. Throughout the year, TopRank Marketing will be providing education in the form of online and in-person events. We will be sure to update you on other events coming to a conference or computer near you. Stay tuned!